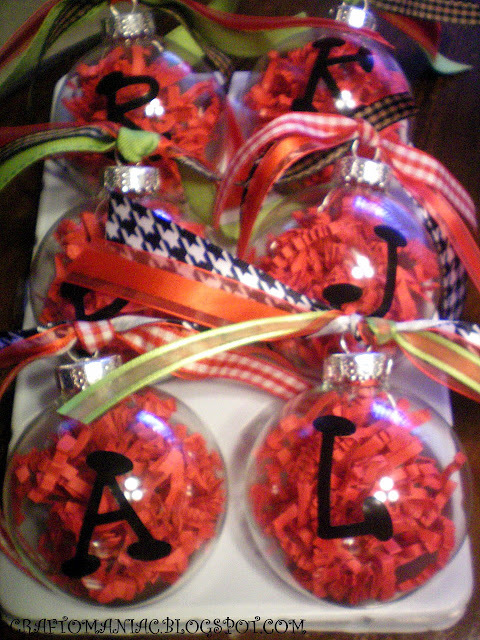 I made these last year and they are a fun craft, the possibilities are endless in terms of ribbon and shredded paper colors. So I needed to share it with you all this year. This is a great neighbor (last name initial) gift too, with a plate of baked goodies and a card. SUPER EASY CRAFT- You will need clear ornies (craft stores) ribbon, stickers, and shredded paper. 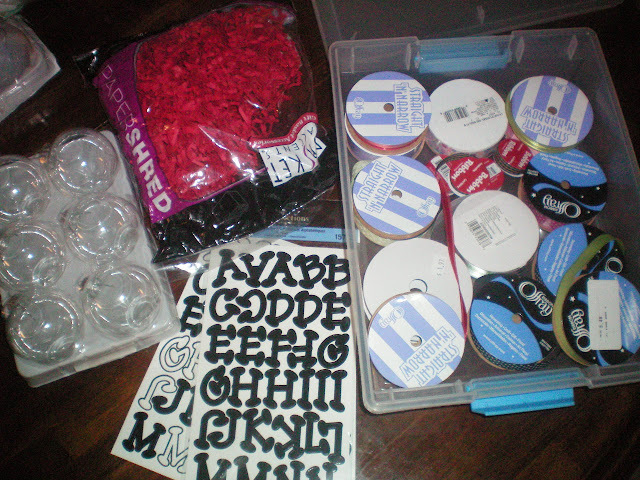 Carefully stuff your ornies, add ribbon of your choice, trim ribbon, add sticker initials, hang on tree. Thanks for stopping by, happy CRAFTING! I am linking up with Making Monday Marvelous at CRAFT HERE. I made some ornaments like this for our favors for our wedding, minus the initial. I just put shredded paper in our wedding colors inside. So cute! I love personalized ornaments too! Great idea! I am totally gonna do this 🙂 I never thought about using the stickers or the shred. I’ve done them in vinyl with the glitter inside. Thanks for sharing! So funny! 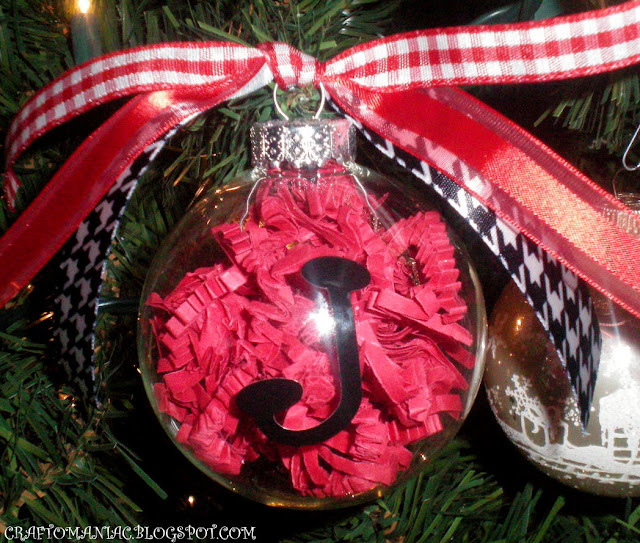 I made ornaments SO similar to these!! Yours turned out super cute!!! great idea…will be making these this weekend! WAY CUTE! I can’t wait to make these!! These are awesome! I am going to make some for a bunch of people!! Thank you for sharing. I love them!!!!! 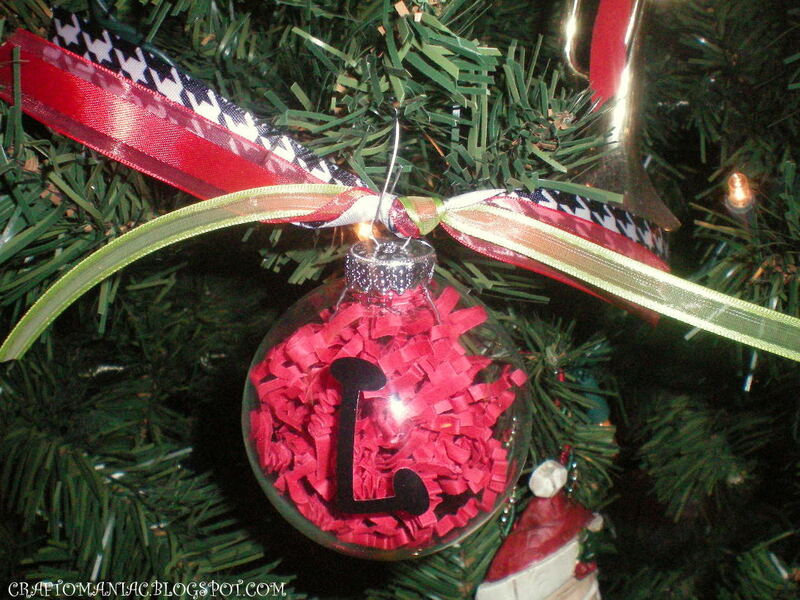 I have a box of clear ornaments out in my garage and I am gonna do this by this weekend!! Love it…great job! !